I am fortunate to be one of the teachers with early access to Edmodo’s app store. As a beta user, I was given $100 to spend on any of the apps available at the time. As I perused the apps, I was thrilled to discover GoAnimate for Schools. After watching the demo video, I decided to purchase it for my students. I teach middle school English Language Learners (ELLs) in Keizer, OR. My students are required to record verbal responses into a computer microphone for the speaking section of their statewide English language test (Oregon ELPA). I decided that GoAnimate for Schools would be a great way for them to practice speaking skills in a fun and engaging way. 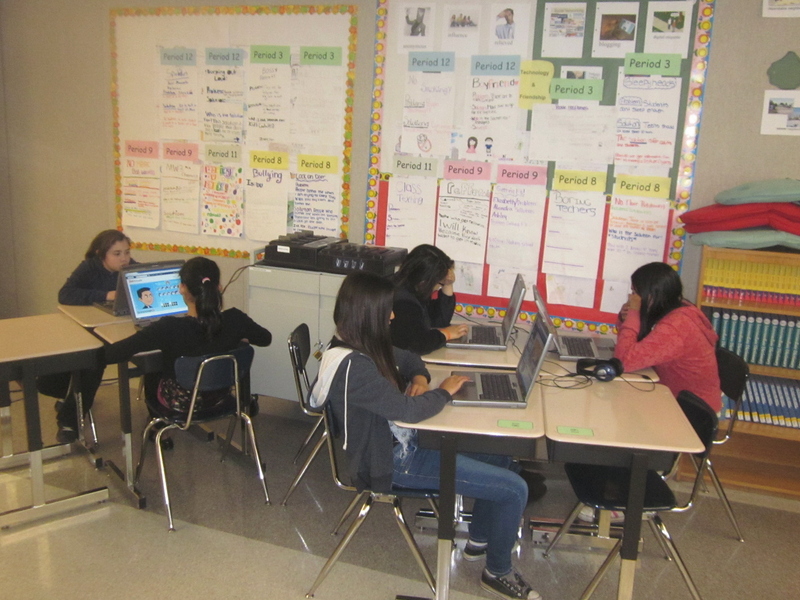 I had students work in pairs to create animations using GoAnimate for Schools’ “Quick Video Maker”. The pair chose a scene, each partner chose a character, then together they recorded a conversation. Prior to creating the animations, I had students write out conversations or interview Q&As. The great thing about having GoAnimate for Schools within Edmodo is that when the animated videos are complete, students can save and post them directly to Edmodo. Students enjoy watching and commenting on their classmates’ videos. With Edmodo, you have the option of making a post public so that everyone can enjoy your students’ animations. For one assignment, I made the animations public and included a link to a rubric so that others could help me score projects. GoAnimate for Schools’ “Full Featured Video Maker” allows you to fully customize animations. It pretty easy for students to learn, and is packed full of features. It is more time consuming to create a video this way, but a lot of my students chose to work on their videos from home because they enjoyed it so much. For the full featured animation, I had my students create a video that showed a solution to a problem. Students chose topics like bullying, smoking, inappropriate language, cheating, and poverty. I am elated that I found GoAnimate for Schools in the Edmodo app store, and I am looking forward to using it again with my new group of students next year.